Brazil Captain Neymar’s Team PSG Involved In Match-Fixing? 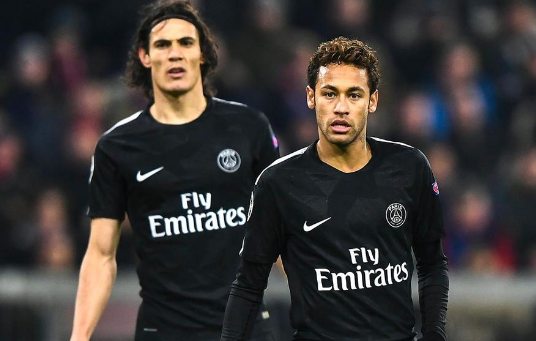 UEFA informed French judiciary authorities that there might be match fixing involved in the Champions League match between Paris-Saint-Germain (the club of Brazil captain Neymar Junior) and Red Star Belgrade last week. A board member of the Serbian club would have bet five million euros on a defeat with five goals difference from his own team. It became 6-1. PSG-Red Star Belgrade was played on the second day of the Champion’s League group stage on October 3rd. The Serbian team lost a whopping 6-1. With three goals, including two free kicks, Brazilian superstar Neymar stole the show at the Parc des Princes. So far, so good, until today the news came that there may be something fishy about the game. A few days before the match, UEFA was tipped off that a prominent board member of Red Star had taken out a hefty wager against his own team. The man-made bets for a total of five million euros saying his team would be defeated with a five-goal difference on multiple gambling sites, and with a variety of betting amounts, not to arouse suspicion. Possible gain: 25 million euros. To ensure that his plan would be successful, the board member informed some Red Star players who would surely be chosen for the defense that evening to let in some easy goals. Related coverage: <a href=" http://thegoldwater.com/news/39145-Belgium-Soccer-Scandal-8-Clubs-Raided-2-Referees-Arrested-Competition-Stopped"> Belgium Soccer Scandal – 8 Clubs Raided, 2 Referees Arrested, Competition Stopped</a>. The informant who tipped UEFA also told the European Football Association that the Red Star board member would meet with PSG chairman Nasser Al Khelaifi the day before the match. Dragan Dzajic, chairman of the Red Star, laughs at the accusations at the address of the Serbian club. "This is the first thing I hear about this. I know absolutely nothing about this. Impossible that this is true. " PSG has also responded to the news. The Parisian top club says to be surprised and is considering taking steps against people trying to discredit the club. "We have taken note of this with the greatest amazement. We reject every direct and indirect involvement in this story," is stated in a statement on the club’s website. "We will provide full cooperation to the researchers. We do not accept any reputational damage to the club or our people. We reserve the right to take action against people who do so. PSG stands for integrity. "